What percentage of legal spend is via alternative fee arrangements? Unlike other legal market surveys undertaken during the course of the year, the results here are telling in that they are from those running the legal department, as opposed to those practising, and therefore, arguably, are more reflective of the market’s aptitude to Alternative Fee Arrangements (AFAs). Overwhelmingly – at 87 percent – US in-house law departments make some use of AFAs with their private practice suppliers. Tellingly though, only 14.1% of this is over 50% of spend and more than a third – 34.4% – is in the one to 10 percent space (making me wonder if this is just discounts disguised as AFAs). I believe John’s questions to be important and worthy of a response. So here’s mine. Are we changing the “we sell time” mindset of the legal profession? Many would say that lawyers sell their expertise, knowledge, skill, and experience. While I would have held that to be true pre-2008, in the new world order I no longer believe that to be the case and would hold that today this type of thinking makes it incredibly difficult for you to differentiate yourself from the pack. I’d go so far as to say that in today’s world expertise, knowledge, skill and experience are a given: they merely get you an invitation to the dance. 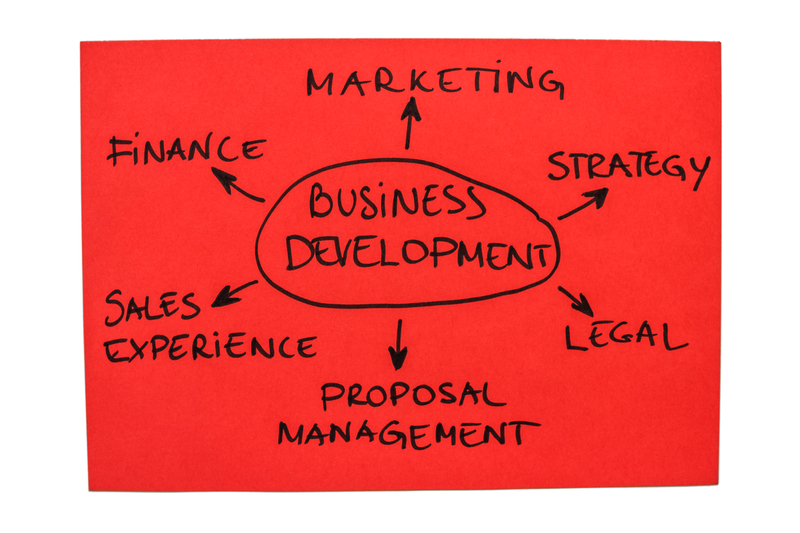 No, short of a nuclear event or a commoditised issue, what lawyers (and business development people on their behalf) sell today is access to the right expertise, knowledge, skill and experience. And we do this by fulfilling on all of the modern day clichés: – understanding our clients’ businesses, being client-focussed, always being available, always adding value to the relationship. The problem though is that even if we know what we are selling, how we charge for it is a very different beast. Are we changing the “we sell time” business model of the legal profession? 72.2% of law firm leaders responded – “reactive“. 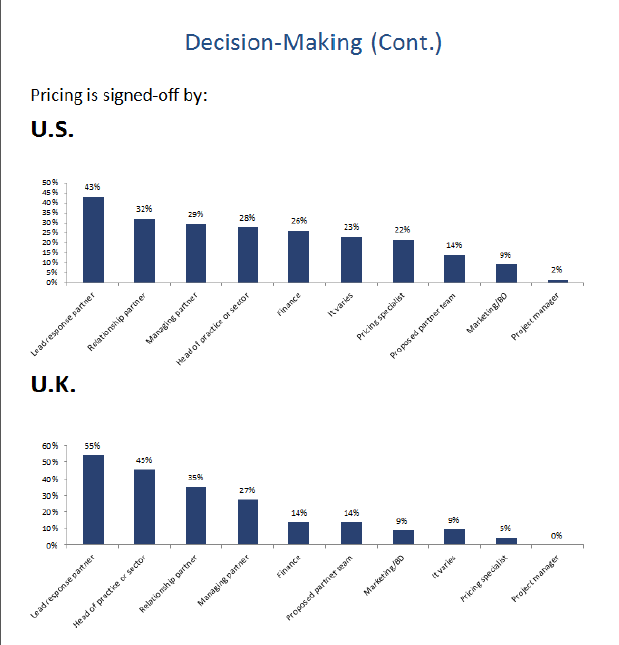 In an era where “Sixty-four percent of large firms have added a Pricing Director or staff equivalent” (see page (v) of the report), that’s pretty staggering. But it also goes to the heart of the problem: there clearly isn’t significant enough incentive to move away from what is in place (hourly billing) and towards something new – and the reality is we are only offering non-hourly fee arrangements under the very real threat of not being given the work at all! And, to my mind at least, herein lies the crux of the issue John raises:- the problem is not that we sell time per se, but rather our business model rewards people for charging by it. 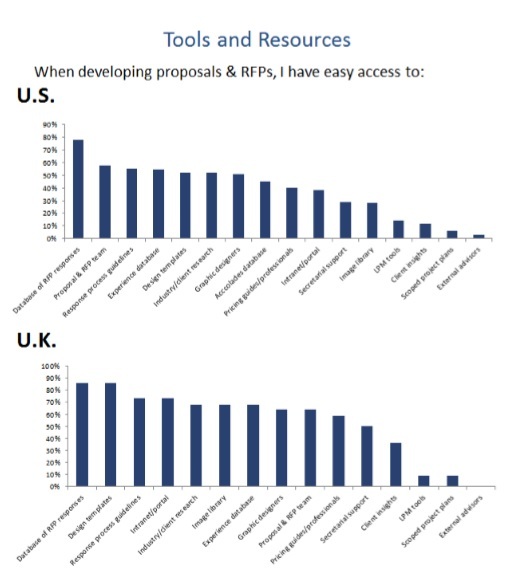 And while I do commend law firms for trying to establish what a particular type of work might cost, this evidence clearly shows that firms remain stuck in a cost-plus method of charging for services rather than trying to determine what the value is to the client in doing the work – which actually would enable them to structure more customized fee proposals. Are we changing it quick enough? It should be obvious by now that my response here is going to be “no”.